Growing up in a country with one of the greatest educational systems in the world, Singapore is home to top-notch schools and provides a very comfortable, fixed educational experience. Schools around Singapore provide various forms of scholarships and funding assistance that students can apply for, so such options are definitely worth looking out for. While most overseas scholarships veer towards the more typically well-known schools in the world, this article introduces you to a wider and more diverse range of resources that provide opportunities to study in equally reputable schools in some of the lesser-travelled Emerging Markets (EMs) around the world! BrightSparks is an integrated media platform by CareerBuilder Singapore that collates the majority of the scholarships available in Singapore. Partners of BrightSparks include universities, junior colleges, polytechnics, and integrated programme schools from all over the island. The BrightSparks website allows you to customise your search down to the specifics — you start by selecting your educational level, then you proceed to choose whether you are looking for scholarships or higher education, and you can even narrow down the choices to zoom in on scholarship programmes that are tied to the specific organisations that you may be interested in. After customising your search options, you may then look through the scholarships provided and apply to those that you are eligible for. Do be sure to double-check that your selected scholarship programmes allows for the choice of your desired school in the EMs! Although all scholarships come with a requirement of maintaining a bond (averagely four years) with the scholarship provider post-education, the scholarships will help to pay for all your necessities from tuition and compulsory fees, book allowance, to even hostel fees. A useful platform provided on the site is a forum for discussion on these scholarships. Through the forum you will be able to communicate with others that are either similarly interested in these programmes, have already enrolled, or have graduated from one of them. Hearing from the experiences of others will definitely help to inform your own decision-making process! QS Top Universities’ website provides a consolidated list of scholarships from all over the world, catering specifically to students interested in overseas scholarship programmes. What is especially great about this site is that these scholarships are grouped into categories that make it convenient for a user to navigate the site. These categories include scholarships that are region-specific, country-specific, specific to your course of study, or specific to you in terms of your ethnicity, background, sexuality, medical history, and other factors in your life in which these scholarships are specifically catered to. Having these distinct categories makes sifting through scholarships much easier when you can specifically look at regions in the EMs and apply for the scholarships that you are eligible for on the spot. Check the site out here! StudyAbroad.com provides an entire list of scholarships that you can scroll through to choose based on your interest and eligibility. While the site does not provide neatly categorised lists like QS Top Universities, it offers a much wider range of scholarships. There are programmes that are based on non-academic interests and skillsets like athletics or artistry, programmes that are specific to your demographic, programmes that are location-specific (these scholarships are usually incentives to attract students to a particular country), and programmes based on your particular field of study. When targeting specific programmes in the EMs, you can scroll through the extensive list of scholarships offered to take note of those that are applicable in the EMs, as well as those that are already being offered by schools or associations within the EMs. To check out the website, click here! These resources do not offer or provide information on overseas scholarships but additional useful information that would help in your journey to study and work overseas! Young Talent Programme is an initiative by IE Singapore for students. Market Immersion is meant to help students gain an added advantage when they proceed into the marketplace to work through prior global exposure in another market other than their own. How Market Immersion works is that IE Singapore would collaborate with schools to fund the living allowance of students who do go overseas for programmes. Such programmes include student exchange programmes, short-term study programmes, internships, and general work-and-study programmes. Students who are interested will first have to identify an overseas market that they would like to explore before speaking to the representative of the programme in their schools to evaluate the immersion opportunities available in the particular market. Once that is done, students will then be asked to submit their applications to their schools along with the supporting documents to apply for the specific overseas immersion programme. Students must be approved to be awarded funding from their school before they will be able to attain funding support through the Young Talent Programme. Upon returning from their Market Immersion programme overseas, students are expected to submit a written report to share their experience and learning points from the immersion programme. The overseas immersion programme allows students to experience living and studying in various countries including the EMs without having to worry about funding, which is always the main obstacle for students. There are not many other opportunities like that out there, so if you are currently a student, you should definitely check it out! 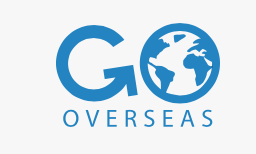 As you may have probably guessed from the website’s name, GoOverseas.com is a site that provides all sorts of useful information and opportunities pertaining to – going overseas! The website offers a wide range of options for individuals to go overseas, whether for studies, internships, volunteer programmes, or just for your own personal travels. Once you have selected your programme, you will be led to a page where you can customise your search by choosing the country, programme type (field of study), and how long of an academic term you are looking for. The search filter system will allow you to easily find which programmes would best fit you. GoOverseas is a great resource that makes searching for programmes in the EMs all the more fun and convenient as you are able to directly select your countries of choice! Take a look at the website here. If you are a student looking to study in the EMs and are uncertain where to begin, hopefully this list of resources will come in handy to help you kickstart your journey. We wish you all the best to go beyond and experience something new!